Perhaps that’s why the book Happy Birthday, Dear Author! caught my attention. This book contains hundreds of ideas for celebrating favorite authors. From Jan Brett to Mo Willems, you’ll find timely and successful celebrations. Give struggling readers a way to make reading fun, not frustrating. With Lerner Interactive Books, readers follow along as the text is read to them, adjust the speed of the audio, hear definitions from a built-in glossary, and more. See how it works with a free trial subscription! Click here now! What’s new with children’s dictionaries? Lots! Check out the latest from American Heritage. You’ll find an award-winning and newly updated picture dictionary, first dictionary, children’s dictionary, student dictionary, children’s thesaurus, and student thesaurus. Click here to learn more! Teach students about their world neighbors with free activities, certificates, videos, leader’s guide, and more from Heifer International. Students build skills while learning to be good global citizens with dozens of free resources, available in both English and Spanish for grades K-6. Click here to learn more! Add the arts to your curriculum with free resources from Crayola! Download an introductory guide, videos and accompanying info, handouts and flyers, and much more. Topics include using the arts to stretch students’ thinking, adding creative experience to enrich learning, keeping kids’ natural curiosity alive, using the arts to improve students’ communication skills, and much more. Click here for your free materials! How are you teaching your students important life lessons about tolerance and respect? 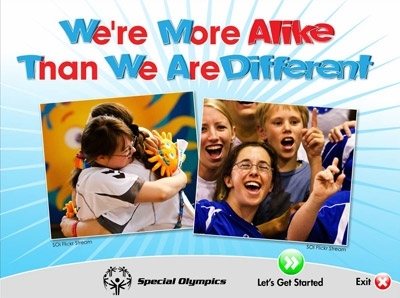 Take a look at free activities, games, and more designed for general education classrooms from Special Olympics. Download the free Get Into It curriculum, with activities for grades K-12; incorporate the free online games to reinforce important messages about tolerance and respect; learn about other programs that are part of Project Unify; and much more. To get started, click here! Are your students ready to change the world? Check out the Siemens We Can Change the World Challenge. Teams of students in grades K-12 dream up sustainable solutions to environmental problems—and have a chance to win more than $300,000 in prizes, including scholarships, adventure trips, gadgets, and more. To get started, click here! Win an iPad for yourself, and one for your school! It’s all part of the iLove My School sweepstakes from FundingFactory. Plus, download free activities and worksheets to teach students what happens to our used printer cartridges, cell phones, and electronics when we’re done with them. Then find out how your school can earn cash by collecting these items. Learn more! Don’t forget, submit your comment for a chance to win our prize. You’ll have it in time to celebrate Steven Kellogg—author the Pinkerton series and numerous tall tales, legends, and mysteries—on his birthday October 26! Happy Birthday Dear Author! We love to celebrate Dr. Seuss’s Birthday in my class every year. His books are so much fun!! I think the book Happy Birthday, Dear Author! is a great source for literacy celbrations, both reading and writing. Convenient and handy it will be a new resource to add to my library. 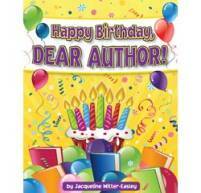 I would love to win Happy Birthday, Dear Author!It would be wonderful for author studies! Love the Science dictionary and the crayola site. I also love to celebrate things in my classroom so I would love to win. My favorite thing to read this week has been the Learning Magazine. Thank you for the great resources. Dr. Seuss and this book gives me even more ideas. It would be great if I was the lucky winner of this book. I like the Children’s Science Dictionary. I love the “Get Into It” lesson. I am always telling my class that were are all alike and try to incorporate this idea into most of my lessons. I like Happy Birthday Author it has some fun ideas in it. However I have alot of little artist in my room so I enjoy Crayola too. I love Ivy + Bean! Such cute and fun characters and stories!